Rakesh Jhunjhunwala is one investor whose praises we cannot stop singing because there is no other investor we are aware of who has had as much success with his investments as he has had. Rakesh Jhunjhunwala has proved time and again that he is indeed the investor with the golden touch. His stock portfolio and holdings have the largest number of multibaggers that any portfolio could have. Rakesh Jhunjhunwala is also the ultimate Buy-and-Hold Investor. While naive investors (like yours truly) were in a mad rush to sell off the portfolio holdings during the great depression & stock-market crash of 2008, Rakesh Jhunjhunwala stayed cool and took home an incredible Rs. 1000 crores for his efforts. Can the same be said for Rakesh Jhunjhunwala, our friendly neighborhood billionaire investor? Lets look at some of his recent purchases. Rakesh Jhunjhunwala bought 1,250,000 shares of Srei Infrastructure Finance in Feb & March 2010 at Rs. 65 each. At the CMP of Rs. 121, he has earned an astonishing annualized return of 103% on his investment in Srei Infra. What the chart shows is that the price of Srei Infra have risen steadily. This means that even if you had lazily pondered over Rakesh Jhunjhunwala‘s purchase of Srei Infra and then followed him after several weeks or even months, you would have made a cool double digit return on your investment. Rakesh Jhunjhunwala bought an additional 375,000 shares of VIP Industries on 21st June 2010. Taking his earlier holding of 12,68,000 shares, his holding of VIP Industries now stands at 16,43,000 shares, equivalent to 5.8132% of VIP Industries‘ capital. Rakesh Jhunjhunwala bought the shares of VIP Industries for Rs. 335 in June 2010. If you had mimicked him and bought VIP Industries‘ shares, at the CMP of Rs. 664, you would have been staring at a mammoth annualized return of 235% or absolute returns of 98%. Not bad for being just a copycat, huh? 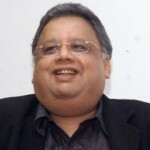 Rakesh Jhunjhunwala & Radhakrishna Damani (of DMart) were allotted shares of Delta Corporation, a company owned by Jaydev Mody & Zia Mody, vide preferential allotment in September 2010. The prevailing market price on that date was Rs. 69. The CMP: Rs. 130. This means (assuming the shares were allotted at Rs. 69 or thereabouts) that he has pocketed an astonishing absolute return of 77% in less than 2 months. Now, that’s luck. Delta Corp is being touted as a promising investment on the basis that it has interests in gaming, hospitality and real estate, operates offshore and onshore casinos in Goa and owns a real estate company in East Africa through a 40:60 joint venture with Reliance Industries Ltd’s chairman Mukesh Ambani. Delta Corp‘s Q2 FY 2011 results were spectacular. Of course, at the CMP of Rs. 130, Delta Corp is probably fully valued if not overvalued. Ramesh Damani & Samir Arora of Helios Capital have gone on record to say that they would not buy Delta Corp at this price but would book profits. Of course, no one dares to mess with Rakesh Jhunjhunwala! We don’t know when Rakesh Jhunjhunwala bought the shares of Bilcare though it is known that he has been holding it for several years now. Suppose of 1st January 2010, you had decided to buy the shares of Bilcare at the then prevailing price of Rs. 531. At the CMP of Rs. 719, you would have pocketed a cool 35% absolute and 42% annualized return. Sadly, Rakesh Jhunjhunwala‘s investment portfolio is not without its losers, at least in the short term. 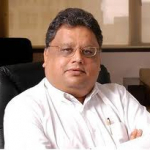 Rakesh Jhunjhunwala bought 1,00,000 shares of Visaka Industries at Rs. 151.75 per share on 22nd April 2010. (see Rakesh Jhunjhunwala is buying Visaka Industries!!). Visaka Industries has since then been on a nose-dive on the back of its posting poor Q1 & Q2 FY 2011 results (see Visaka Industries: Poor Q1 FY 2011 results but holds promise! & Visaka Industries Q2 FY 2011 & Rakesh Jhunjhunwala. Visaka Industries’ CMP is Rs. 134 reflecting an absolute loss of 11.69%. Of course, knowing Rakesh Jhunjhunwala, it may be too early to write off Visaka Industries. Visaka Industries fits in with all the text-book requirements of a sound investment with its’ consistent growth rate, high book value, low PE, good dividend yield and a growing demand for its products. Visaka Industries may yet turn out to be an ideal investment. Of course, if one takes into account his successes in investments like Titan Industries, Crisil, Lupin & Rallis that are a part of the core portfolio, no further proof is required that just following Rakesh Jhunjhunwala‘s stock picks may be all that an investor needs to know and do to get his own multibaggers!! Rakesh Jhunjhunwala is buying Visaka Industries!! Rakesh Jhunjunwala is pure stock operator….and..earn a profit…and milibhgat with promoters…. Rakesh jhunjunwala manipulate…stock…and making a multibagger….s.tock…..